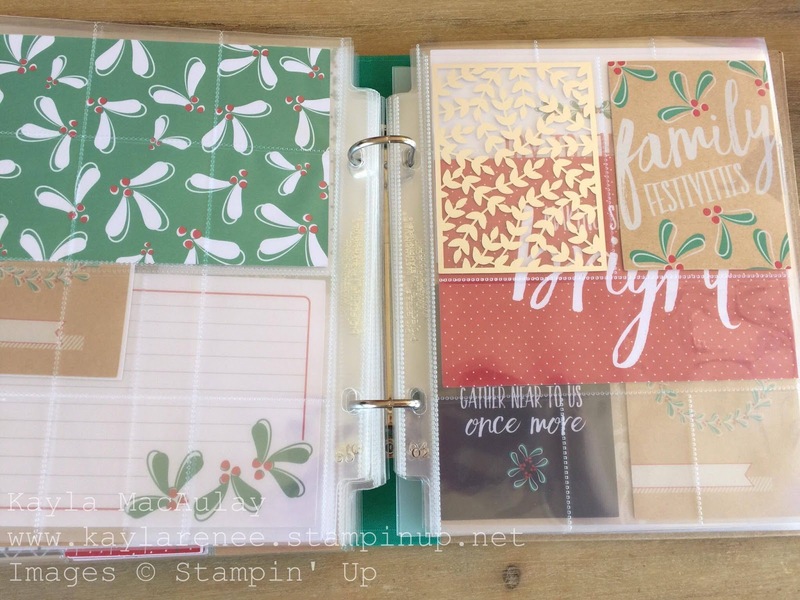 Today I wanted to come by and share with you my preparation for my December Daily album. 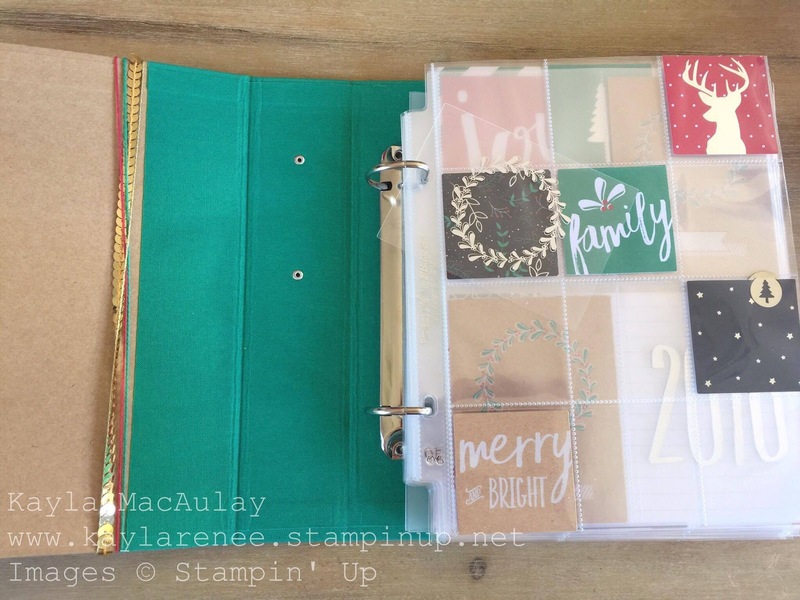 I had so much fun putting this together and even though I have done minimal preparation, it is going to make it easier come December. 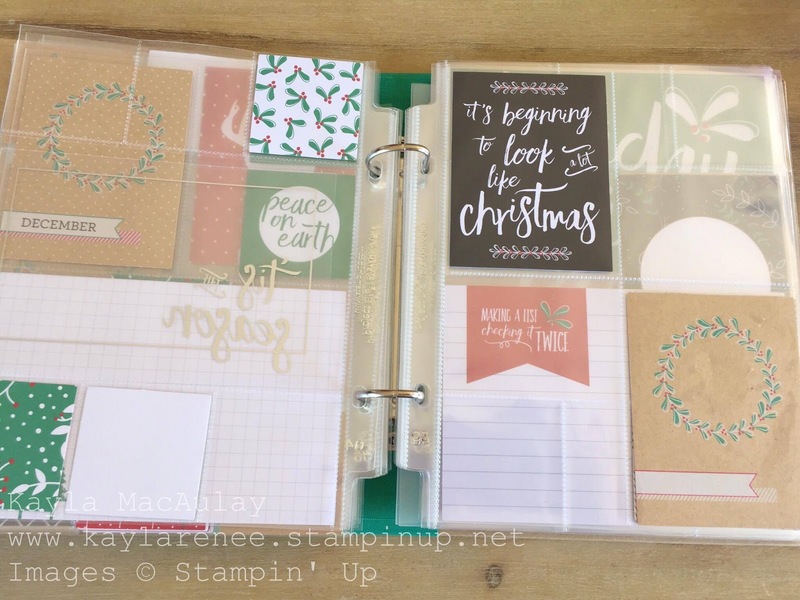 I really love the Hello December range of products from Stampin' Up. I love that everything is coordinated so well and so all that is left for you to do is to simply put it together. 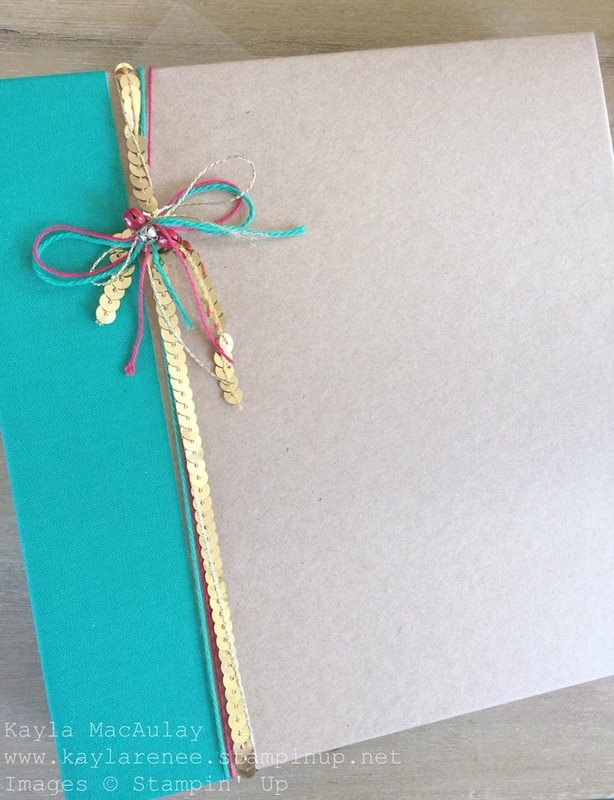 I didn't want to add too much to the front cover and I was a bit too nervous to stamp on the front cover however I jazzed it up a bit with a few trims. I have used a mixture of gold twine, real red and emerald envy twine finished with some gold sequin trim and some mini jingle bells. 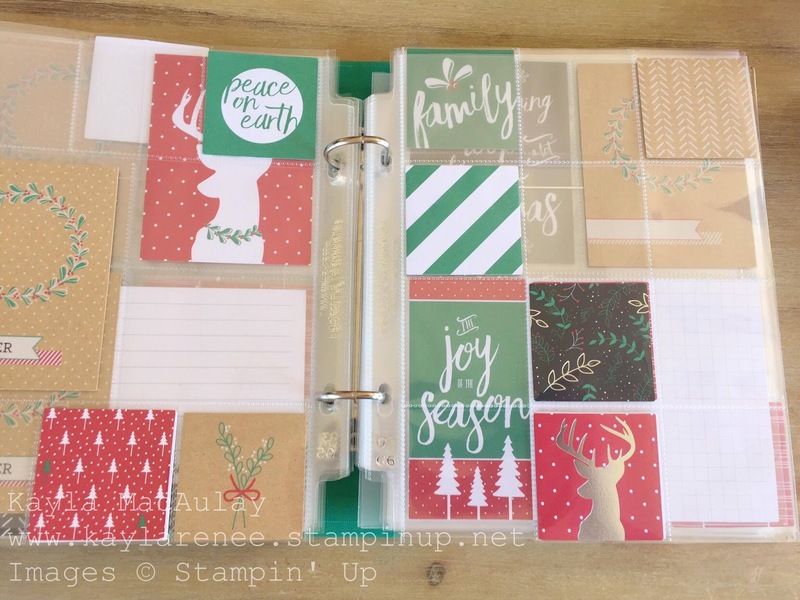 I used the stamps from the Hello December Accessory pack to stamp on the spine insert. I love these little phrase stamps. I have used Basic Black, Real Red and Emerald Envy inks to achieve this look to match in with the other colours featured. 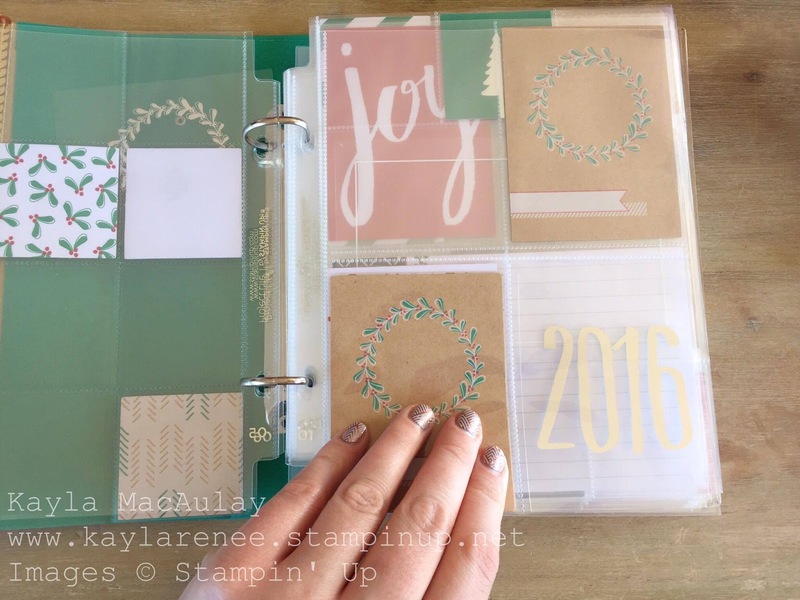 I fell in love with the Emerald Envy 6x8 album. It is one of our gorgeous in colours and it looks absolutely gorgeous with our Hello December range of products. The first opening page I have used one of the pages from the variety pack that has all the 2x2 squares. 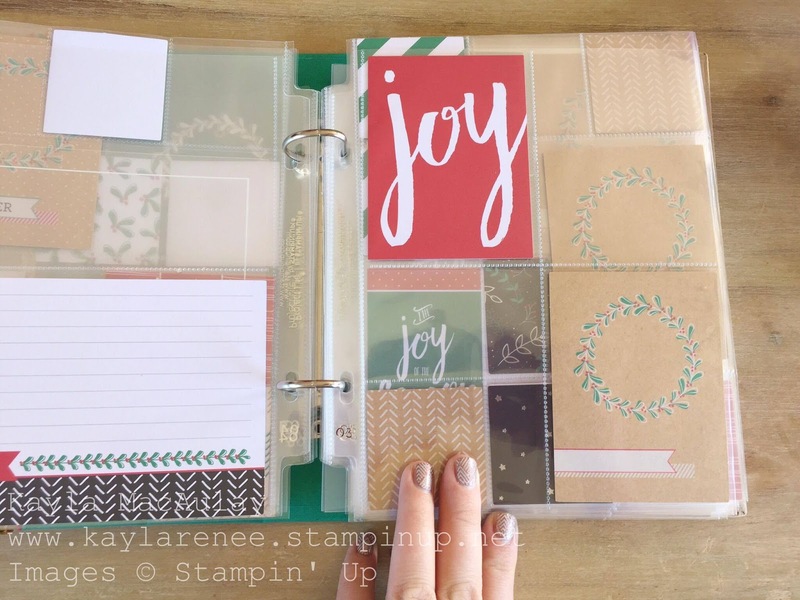 The Accessory Pack comes with lots of 2x2 cards and are gorgeous for creating these kinds of pages. 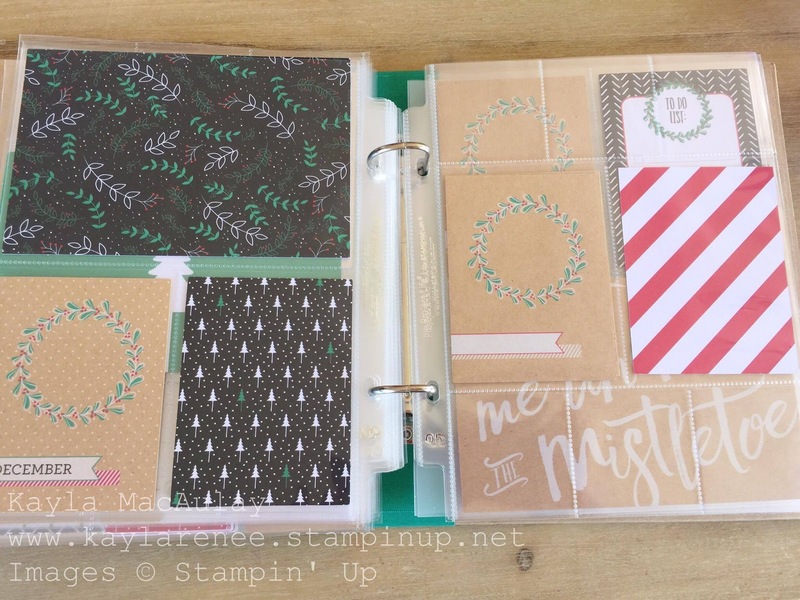 I plan on adding some photos, some embellishments and some shaker pockets to this page. I love the 2016 acetate card from the accessory pack. I plan on adding some sequins and tiny beads and having this as an opening shaker pocket. 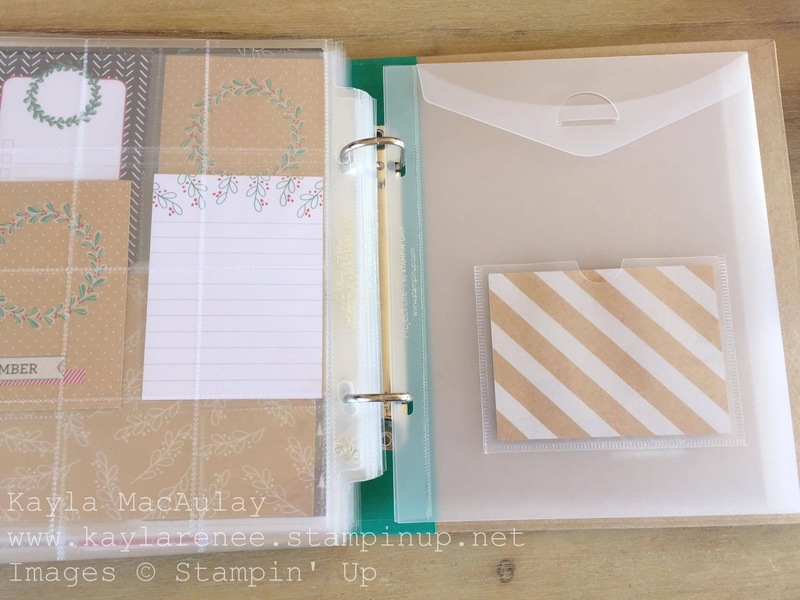 At the back I have added one of the pocket pages and added a 3x4 card at the front. 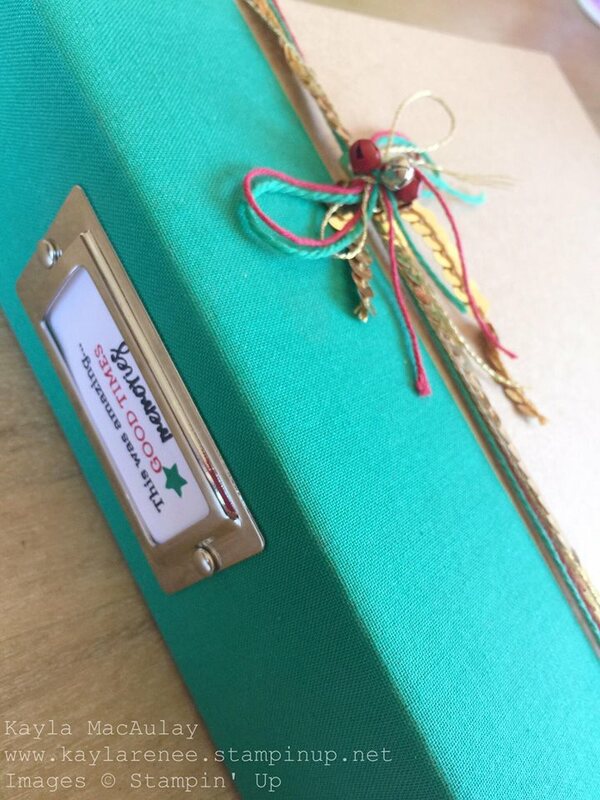 This will hold any memorabilia that I collect during the month. As you can see I have pretty much only decided which order the pages will go in and placed the cards in the pockets. I still have to decide which photos will go where and place numbers and embellishments on the pages. This however won't take me long as I plan on keeping things pretty simple this year. I really hope you have enjoyed having a look at the basic preparation for my album this year. Just a word up. If you didn't see the previous post about the Online Extravaganza sale, there are Hello December products going on sale tomorrow!